[5 mins. 45 secs.] 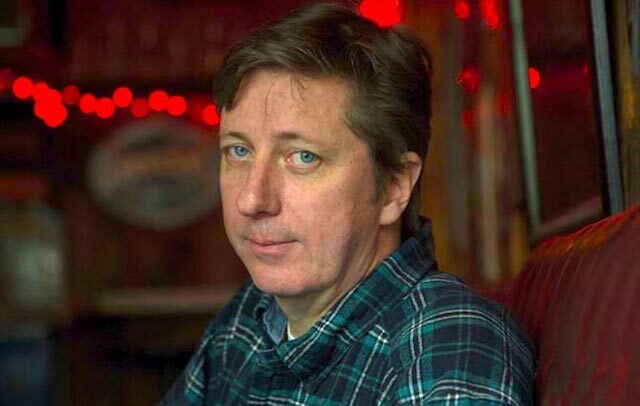 Upon the release of the "Henry Fool Trilogy" DVD box set, filmmaker Hal Hartley ("Trust", "Simple Men") returns to the podcast recorded from his Washington Heights apartment. (Hal was last on Episode 191.) A must-have for any Hartley fan, this beautifully designed and crafted box set includes the restored "Henry Fool", "Fay Grim", and "Ned Rifle", and was directly overseen by Hartley himself. It is the first and only time the three films are presented together, with "Henry Fool" finally in HD and the 5.1 surround sound mix of "Fay Grim" fully restored. Also included in the package: a 16-page booklet with numerous rare photos from the production of the films and a new essay by Tom McSorley, a long time commentator on Hartley's work and Executive Director of the Canadian Film Institute; the documentary Making "Fay Grim" or "How Do You Spell Espionage?" (2007); and the Promo Clip of "Some Days in April" (2014). The film is subtitled in English, Spanish, French, German & Japanese. Order your copy either from halhartley.com or Amazon.com. [56 mins. 25 secs.] Also on this episode, a never before released segment with Hal and Ted Hope, his longtime producer, collaborator and friend. Recorded on July 9, 2014 from the IFC Center in NYC during a screening of Hal's "My America", Hope was at the time head of acquisitions at Fandor while Hal was finishing production on the upcoming Ned Rifle. In addition to discussing "My America" (now available for streaming on Vimeo), we also discuss Ted's upcoming book "Hope For Film". The music on this episode is all from the new Hal Hartley instrumental album "After The Catastrophe" (2017) now available where music is sold, streamed, downloaded, etc. The tracks include 'Ballad Of Simple Men', 'After The Catastrophe', 'Between Jobs', and 'Trust Me'.